The concert band is made up of incoming seventh grade students with or without previous band skills. Eighth grade students who did not take band in 7th grade may also join the concert band. Students continue developing their musicianship skills on a band instrument as well as learn basic music theory and history, and develop group performance skills. Students involved in the band program have many opportunities throughout the year to perform and travel to hear and work with professional musicians in the area. The Concert Band performs a minimum of three concerts during the year. Private lessons are, of course, helpful and recommended. Concert Band also performs at the MSBOA District 12. This group is the top-performing band at Frost. The Symphonic Band is composed of students who successfully completed Concert Band in seventh grade. The students in the Symphonic Band work on enhancing of skills learned in their previous training. Students involved in the band program have many opportunities throughout the year to perform and travel to hear and work with professional musicians in the area. This band is mainly for students who have the interest to devote a minimum of two hours to practice a week. Private lessons are, of course, helpful and recommended. The Symphonic Band performs a minimum of three concerts during the year. Symphonic Band also performs at the MSBOA District 12 Festival and marches in the fall with the Livonia Churchill High School Marching Band. Jazz Band is an extension of Symphonic Band. Admission is only by teacher approval and by audition. Auditions are held in March/April (of the seventh grade year) for the Jazz Band class of the following year. The Jazz Band performs during the year with the Symphonic Band in addition to performing as a Jazz Band at concerts. Furthermore, the Jazz Band has performed for Open Houses and local company functions. The Jazz Band performs a minimum of three concerts during the year. Only for 8th Graders. The following is what we are currently working on in class. The students should be working on the following. Brass players should only be buzzing on their mouthpieces before rehearsal begins. Woodwinds may practice on the instrument before rehearsal begins. Percussion may only practice on mallets before class starts. Percussionists should also set up percussion section before rehearsal begins. Required Method Book: Can be purchased online or by calling your local music store or Marshall Music. 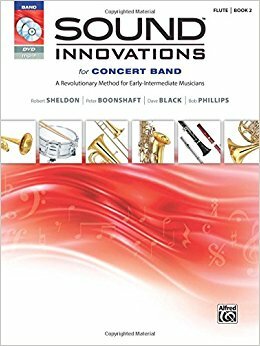 *Percussion: Needs Snare Drum/Bass and Mallets Book. - REED INSTRUMENTS (oboe, clarinet, and sax): Have 2 good working reeds on you in class at all times. Instrument Recommendations: Instrument brands that we have found to be of a high quality for the beginning musician, are manufactured to perform well in school bands and will physically hold up under the day-to-day use by younger players. We do not anticipate any severe discipline problems. Be Respectful, Be Responsible, Be Resourceful This encompasses treatment of equipment and people alike. If we all treat each other with respect, the band will grow and prosper into a wonderful musical organization. 1. Absolutely no talking when the teacher is working. 2. On a rehearsal cut-off, all playing stops instantly. 3. In seats with instruments ready to play at (i.e. 4 minutes after class start)-- no playing instruments until downbeat. 1. Be in your seat with your instrument, music & pencil. 2. Sit quietly and listen for directions once class begins. 3. Display a positive attitude at all times by being respectful and responsible. 4. Raise your hand if you have a question. 6. Don’t touch any other band member’s instruments or equipment. 7. Display proper instrument playing position. 8. Band class is for band music; don’t bring work from other classes. 9. No gum or food is allowed in the band room. 10. All other Frost MS and LPS district rules apply in band class.